Just 3 buttons to access all the functions. A single speed, as the motor automatically adapts its output to the task in hand. A different recipe book for each model. A storage box for all the standard accessories. The Magimix food processors are designed to combine good looks with ease of use. 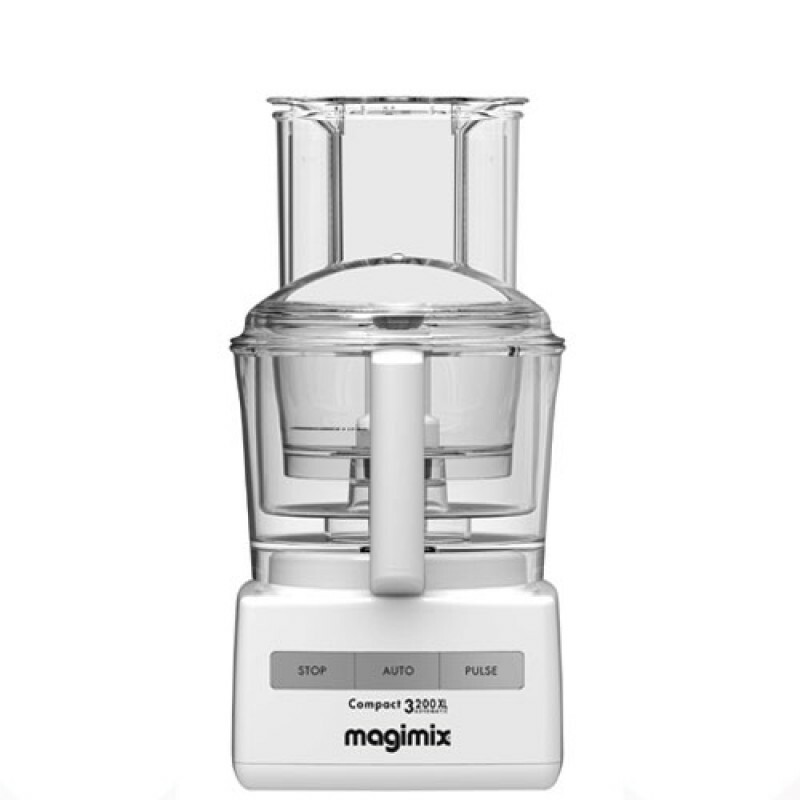 All our food processors are manufactured in our own factories in France, and equipped with a powerful, ultra-quiet induction motor that bears with a 30-year warranty. The appliance and its accessories are guaranteed 3 years. Serrated Sabatier stainless-steel blades are made in France and stay sharper longer. 3 bowls: To meet the requirements of each recipe and help you save time, Magimix has created the Mini bowl and the Midi bowl.Placed inside the main bowl, they function independently and enable you to carry out several tasks in succession. The main bowl for handling maximum capacities. The Midi bowl, a second easy-to-clean bowl for grating, slicing. And last, but not least, the Mini bowl, used for processing small quantities and equipped with its own serrated stainless steel blade.